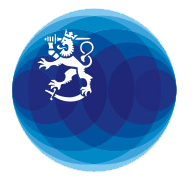 The Embassy of Finland and the Natural Resources Institute of Finland (LUKE) organized a seminar on March 13th on the future possibilities of circular bioeconomy globally. Finland is committed to growing its economy sustainably and we believe that circularity is the way to go. The cascaded use of many so far discarded products as raw material will make our economies greener and more efficient in the coming years. LUKE provides research-based solutions for sustainable biobased economy in the spheres of boreal green bioeconomy, blue bioeconomy, innovative food systems and BioSociety. LUKE works internationally and is looking for new partnerships also here in the US. This event was the first in a series of events the Embassy will be organizing this spring on the theme of circular economy.